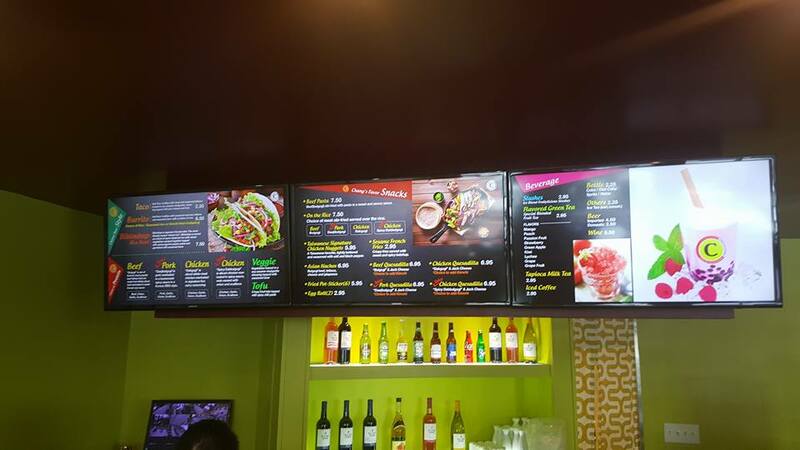 Digital menus give Chico and Chang a modern look. Photo by Doug Deal. Asian cuisine is plentiful in Macon, but Korean has mostly been off the menu with a few exceptions. That all changed a couple of months ago with the opening of Chico and Chang. Occupying part of the space vacated by the old Shoki Japanese restaurant, Chico and Chang has a bold modern feel with digital menus and an ergonomic prep station where you can watch your food being prepared in front of you. Everything is made to order, so take a seat and they will bring it out to you as you wait. Drinks are served in the bottle, so keep that in mind. 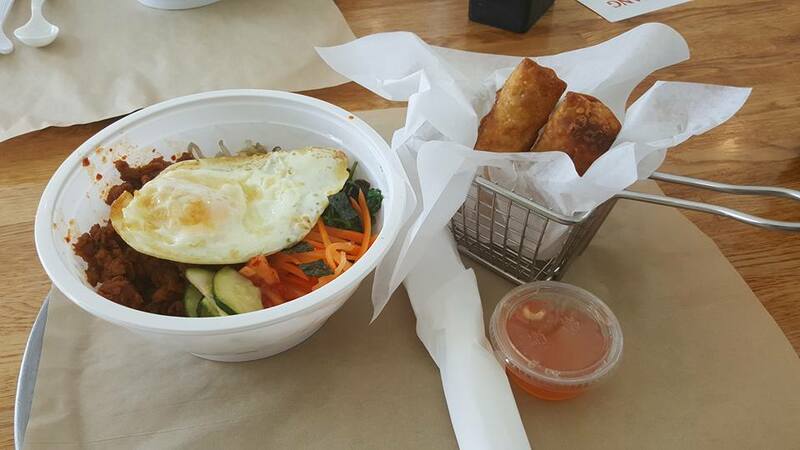 Spicy pork bowl and egg rolls. A very filling and delicious meal. Photo by Doug Deal. On my first visit, I went for lunch and had a spicy pork bowl. You can order it in a burrito with rice, or opt like I did for a lower carb option. The bowl comes with an egg on top that you can specify to be more authentically and deliciously running or well done like I suspect most people would prefer. The pork was awesome and I could not stop myself from saying how delicious it was. The mixture of rice, egg, mushrooms and vegetables blended perfectly and I could not help but finish it. If by chance I could stop eating my entree, I would have been in luck, as they serve their bowls in easily sealable containers that make good tableware, but also are a snap to turn your meal into a takeout. Modern technology is wonderful with what it can do with disposable containers. I paired my meal with an order of egg rolls which were also outstanding. Next time I am going to opt for the pot stickers and maybe get a taco or burrito option to try how it changes the character of the dish. If you aren’t much for pork, they also have chicken, tofu and beef options. Being hooked, I had to bring my wife back for dinner that same night. We had our kids along, so they made my daughter an egg to go with her cheese quesadilla (not on the menu) and she absolutely adored the strawberry smoothie. 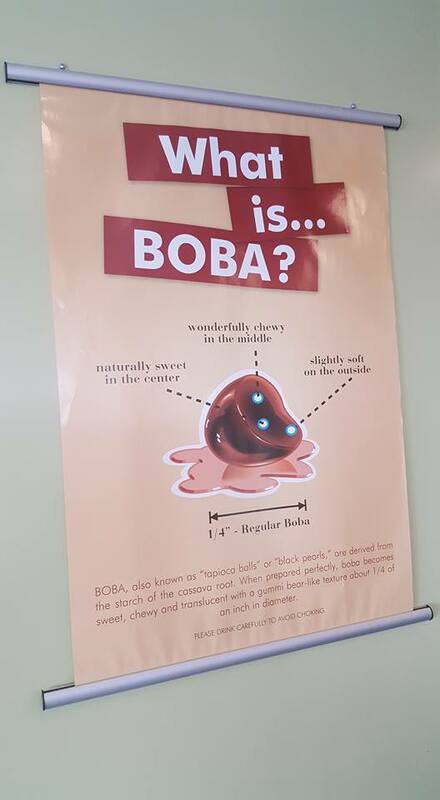 For an interesting experience try one of the drinks with boba. On this visit, I went for the burrito option and chose spicy chicken coupled with the fried pot stickers (dumplings). The burrito was good, but I think the bowl is so much better that it is worth the extra dollar or so. The pot stickers were eaten and shared by all of us and we all enjoyed them, but I also think that I prefer the egg rolls. The service was top notch and the owner as well as the other staff are extremely friendly and give you the impression that they want you there. Their dedication to their food comes through in every bite. The restaurant is located at 3850 Riverside Dr, Macon, where the Shoki sign still stands. Hours are 11A-10P Tuesday through Sunday. It was so good, we are going back for dinner. 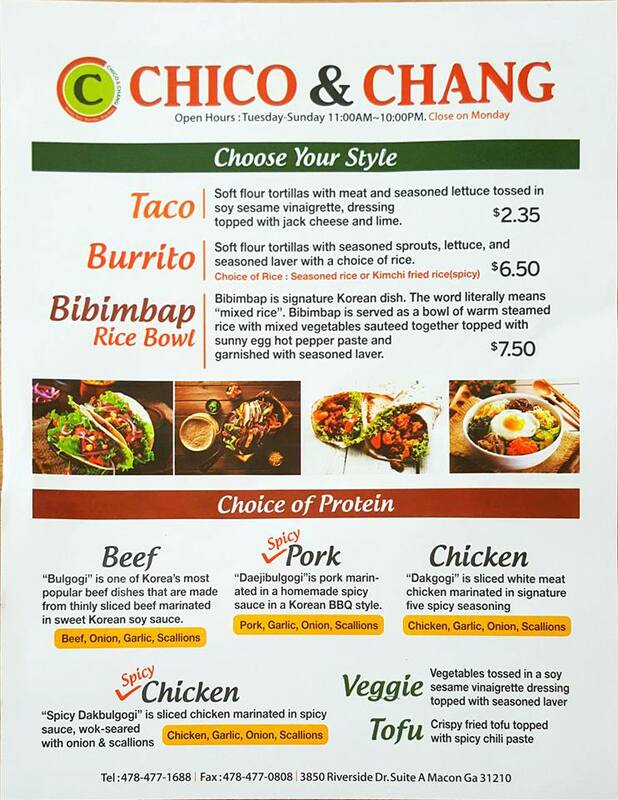 Page one of Chico and Chang’s menu. Photo by Doug Deal. 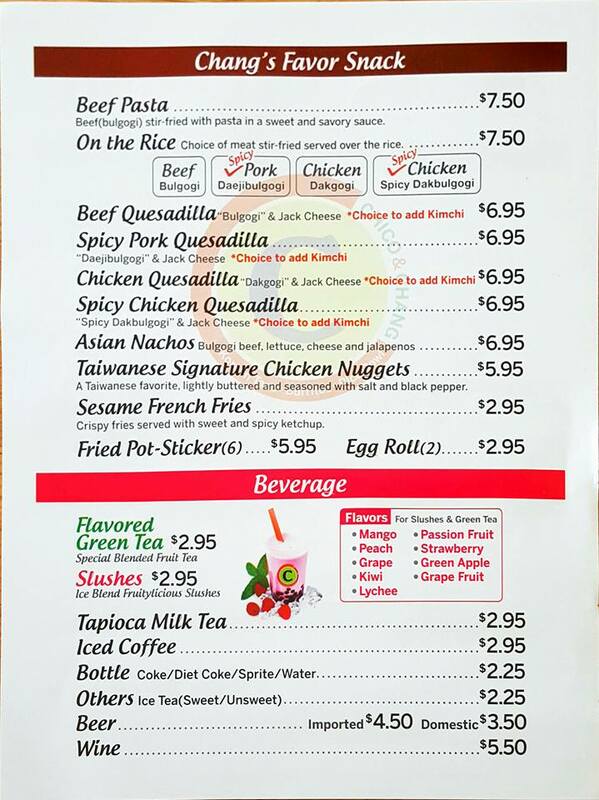 Page 2 of Chico and Chang’s menu. Photo by Doug Deal.